The Google Pixel Launcher is subject to many modifications and recreations on our forums. 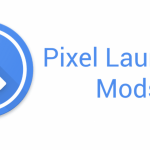 Pixel Launcher Mods by XDA Recognised Developer/Recognised Contributor Quinny899 is one of these modified versions of Google’s launcher. You can add icons and more to your stock launcher simply with root access! 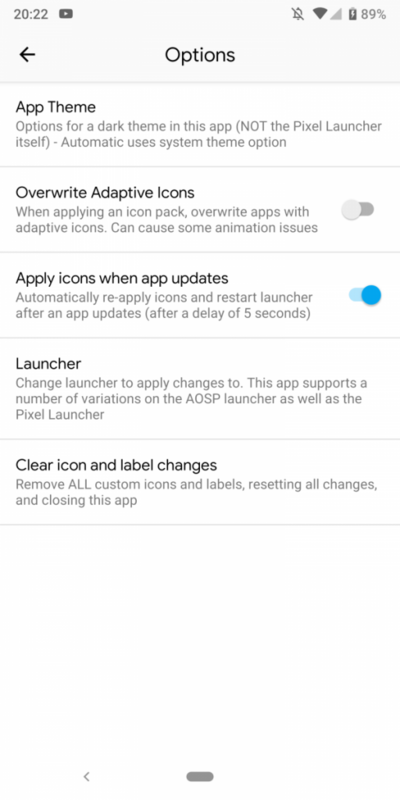 It can even modify some Launcher3-based launchers including Lawnchair, though that isn’t recommended. 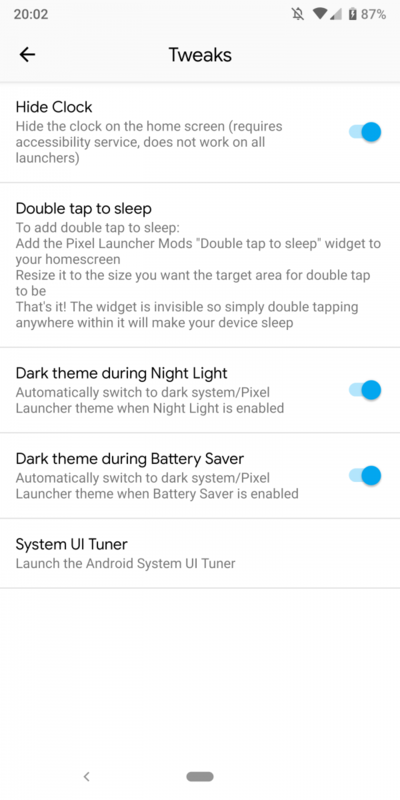 It has been updated with a number of features including the ability to hide the clock on your home screen and the introduction of an automated dark theme (which requires Android P to enable it system-wide). You can check out the full changelog below complete with screenshots as well. Not only can you now hide the clock and automate the dark theme, but a number of other features were added too. 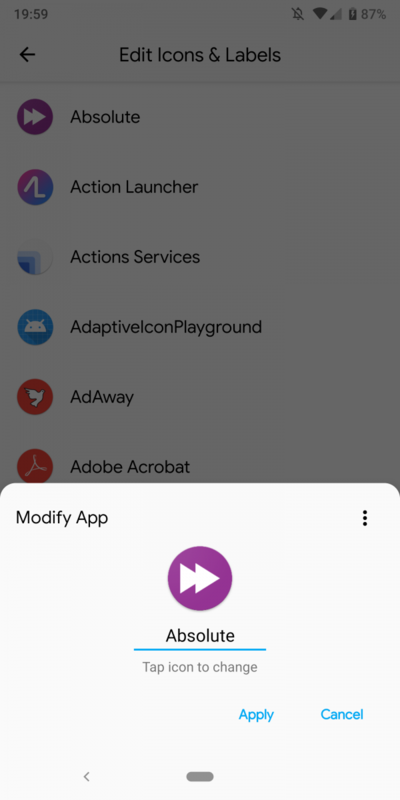 There’s a double tap to sleep option added through a widget, adaptive icon support, and the option to launch the System UI Tuner on Android P. It’s a pretty big update and adds enough features to make the stock Pixel Launcher a contender to the likes of Lawnchair and Nova Launcher. Users wanting to use Pixel Launcher Mods will need root access, which you can get by flashing Magisk. 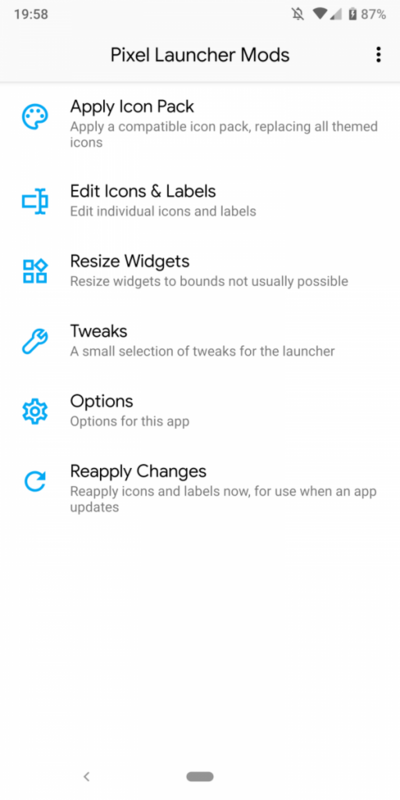 Pixel Launcher Mods also works with Launcher3-based launchers as well so you can use it with quite a few different launchers. You can check out this link for the XDA forum thread. The XDA Labs link to download it is down below.